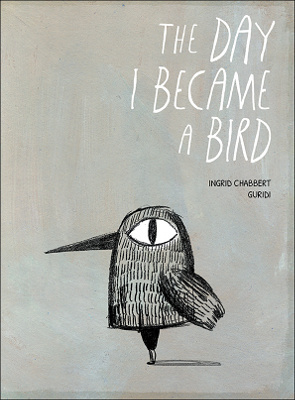 A boy falls in love with Sylvia, a girl who loves birds. He decides the obvious solution is to dress up as a bird. The premise of this intrigued me, though I also wondered how well it would handle it. Early childhood love is often handled very badly. Boys are encouraged to treat girls poorly to get their attention, and when girls report it, it’s dismissed with, “He’s only doing that because he likes you.” That’s a pretty terrible message to put across, that it doesn’t matter if someone hits you, or destroys your stuff, as long as they like you. Refreshingly, this book doesn’t go there. 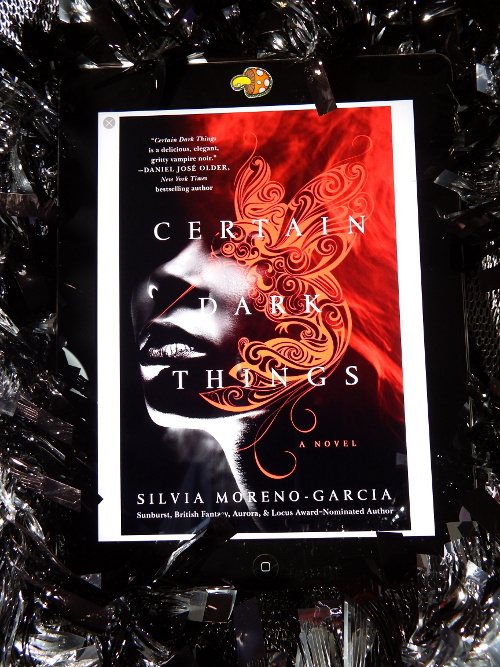 The boy is instead a quiet and sensitive child, who wants to appeal to Sylvia’s interests. At no point is it suggested that Sylvia should stop being so interested in birds. The boy wants to be part of that, rather than trying to change her. He also doesn’t feel he’s entitled to attention for dressing up as a bird. He’s hoping she’ll like it, but he waits to see if she reacts rather than pressing the issue. I also liked that he doesn’t need to be a bird in the end. There was the potential for suggesting that the only way to find love is changing yourself, but it doesn’t really go there. It’s clear to all involved that he’s wearing a costume for a short time, rather than this being a permanent attempt to be someone else. Pencil sketches make up the majority of the artwork. These act as a simple and expressive way of telling the story. The bird costume itself is huge, and looks both carefully made and uncomfortable to wear. I liked how it slowly begins to fall apart, as being worn for normal school activities takes its toll. Some additional bird art, such as a scientific diagram of a bird, and bird identification pictures, are included as part of showing Sylvia’s interests. This is a gentle story, that encourages taking an interest in someone else’s passions. The bird focus is likely to appeal to young bird lovers, and it could be tied in with dressing up activities. Pokémon Go is an augmented reality (AR) game that runs on mobile devices. 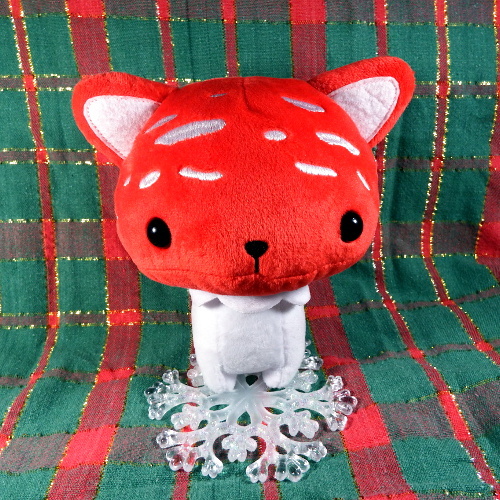 It’s based on the popular Pokémon series of games, with the general theme of catching, evolving and fighting cartoon animals. Game locations are in the real world, encouraging players to travel around. The basic game is free, though players can buy items to help them. 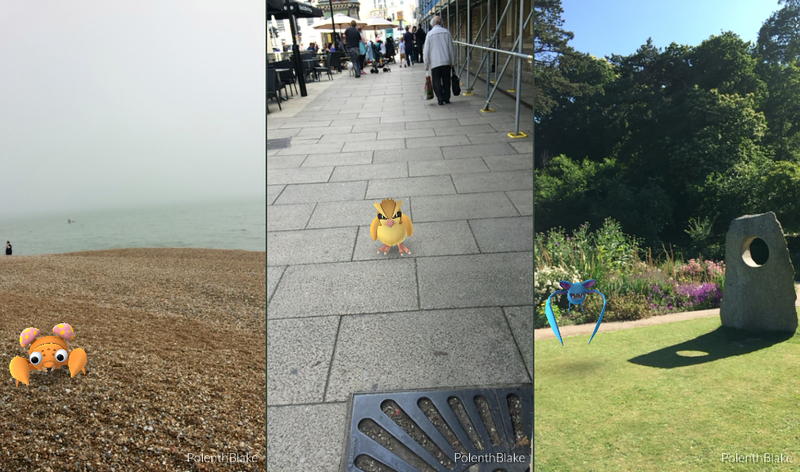 This is a journal of my first Pokémon Go adventure, as well as my overall thoughts on the game. I’ve played a few of the Nintendo DS Pokémon titles. This includes the one that came with a pedometer that let players earn things by walking. It turned out this was an issue, as I played those games in the USA, and I had a trainer account set to that region. I couldn’t change my region or my display name for the old account, which seems like really obvious things people might want to change. I had to start a new account. So the account side of it was not exactly at the cutting edge of account management systems, but at least I could get that set up in advance. Something that’s an improvement on previous titles is it asks the player to choose a style, rather than asking if they’re a boy or a girl. I prefer it being framed as how I want my character to look, rather than my own gender (unless the game is going to actually let me enter my gender). In general though, there are very few options for the characters, which is an odd choice in a social game. I caught my starter, a Bulbasaur, at home. The mechanism is to flick the ball on the screen with a finger. It’s a little tricky, but I got there in the end. Over the next few days, it became apparent there was a colony of bug Pokémon in the garden, as there were little flurries of leaves on the map and a few wandered inside. There were also quite a lot of bats over the road, in the house where someone was murdered, which was creepily accurate. The game instructions are very sparse. I can understand why people think they have to walk towards Pokémon that appear on the map, because it seems logical. However, it isn’t required. As soon as they appear, they can be tapped and the catching process will begin. I could get those bats in the murder house without leaving my house. Image Caption: My hand holding a phone in my sitting room. On the screen, the image seen through the phone camera is shown. Bulbasaur (a green dinosaur with a plant bulb on the back) is sitting on a computer tower. A Poké Ball is on screen, with an arrow and hand icon showing how to throw it. Finally, it was time, and the main adventure began. My fellow traveller was Spiritunicorn, because safe trainers go together, to deal with those really big Pokémon. We hadn’t gone far before a child shouted, “Excuse me. Are you playing Pokémon Go! ?” I nodded, and they gave us a thumbs up. I’m apparently accidentally fashionable again. It happens sometimes. There turned out to be quite a few PokéStops and Gyms nearby. The PokéStops let the player spin a coin for some rewards, such as more Poké Balls to catch Pokémon. The Gyms are where people can battle, but we were too low level for that at the start. All went well as we collected items and caught a few Pokémon on the way. 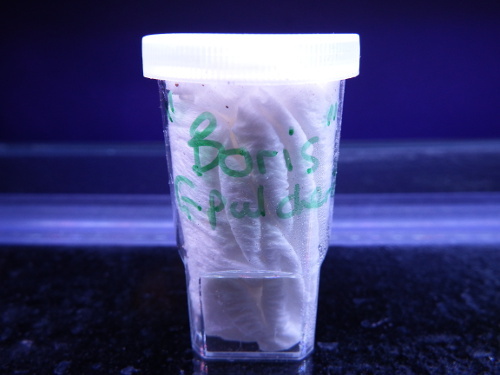 We tried not to think too much about why we trusted this strange guy on the basis that he said he was a scientist. Why does he need all those Pokémon? What’s he doing with them? What’s actually in these pieces of candy we’re getting as rewards? 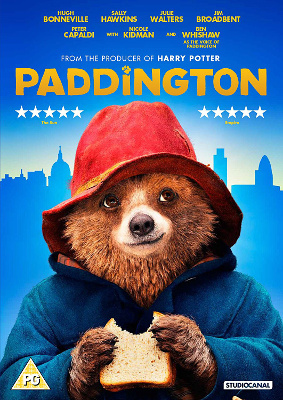 I’m not saying this stranger was illegally harvesting animals, hiring children he could bribe with sweets without too many questions being asked, and liquidising the animals for his experiments. But it doesn’t exactly look like a proper catch and release programme to me. Anyway, the choice of PokéStops was interesting. Quite a few are signs for things, rather than the things. An example is one sign that’s placed right next to the tower blocks. Unlike many towns, mine only has these few towers, so they’re a distinctive landmark. Other PokéStops were things like temporary artwork that was no longer there, so they’re lagged behind in history. Image Caption: On the right, a pale tower block with a sky blue stripe running down it. In front of the building is a sign with a map saying “Welcome to Greater Hollington”. The sign is the PokéStop. 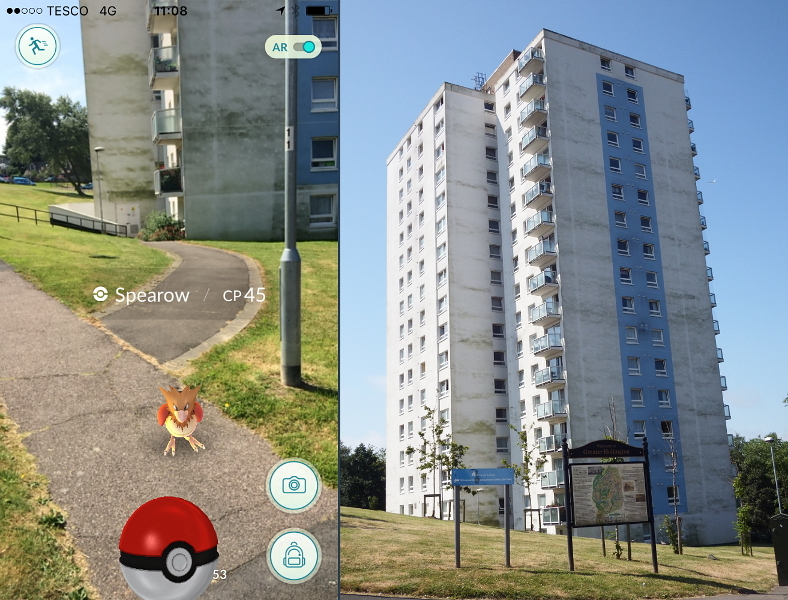 On the left, the image from the phone screen, showing a Spearow (bird Pokémon) sitting by the building, waiting to be caught. We continued on towards the coast and the sea mist rolled in. I finally hit the level to join a team, which I did at the next Gym. It was a brick church with a tower. As the Gyms look like little towers on the map, this seemed rather apt. I went with Team Mystic because blue is a nice colour. Image Caption: On the right, a red brick church tower. On the left, the phone screen showing a character standing on a 3D map. Two gym towers are shown. The yellow one on the left is the church tower. The available Pokémon should change based on the environment, which was clear on our outward route. Home had lots of bugs and a few birds. Asda had a bunch of rats around the back. 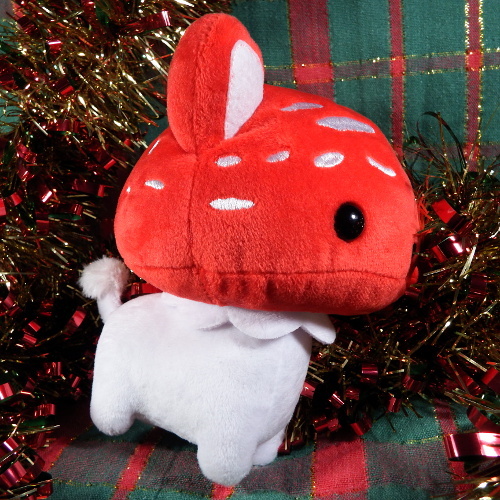 And the coast had weird tentacle monsters and little lobsters with mushroom ears. The PokéStops also got a lot more historical as we moved into the older parts of town. 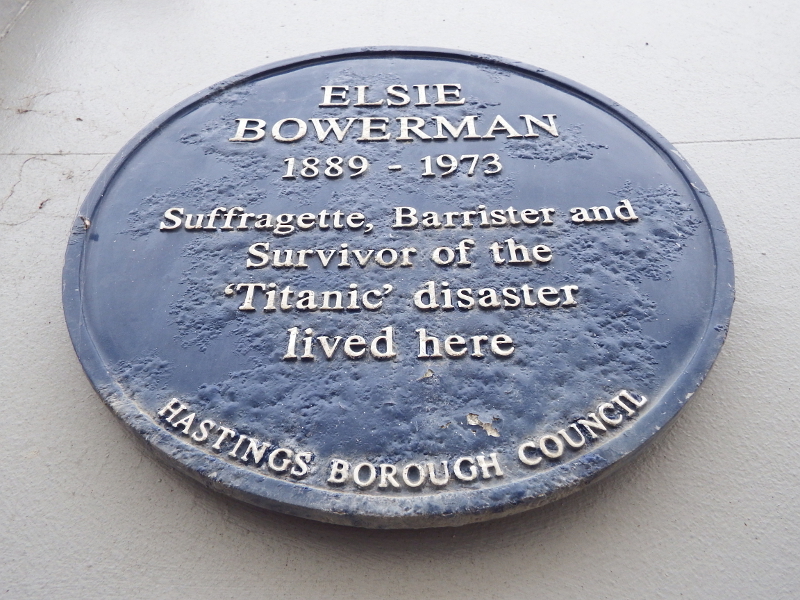 One marked the house of Elsie Bowerman, a suffragette. Another marked the stone on the divide between the two towns, which is about the only sign it is two towns. Image Caption: A blue history plaque on a wall, which is a PokéStop. The writing reads: Elsie Bowerman / 1889 – 1973 / Suffragette, Barrister and Survivor of the ‘Titanic’ disaster lived here / Hastings Borough Council. Heading further into town, we stopped for lunch and to look around the shops. Pokémon Go players were everywhere. The town centre has a number of PokéStops, including the cricketer statue just outside the shopping centre. But other than Game promoting preorders of the next Pokémon DS title, the shops really weren’t getting in on it. If they’d had cuddly toys and other similar things, I’m sure people would have bought them. Once we left town, we went through the park. The mist thinned, meaning it was a good time to recharge phones. 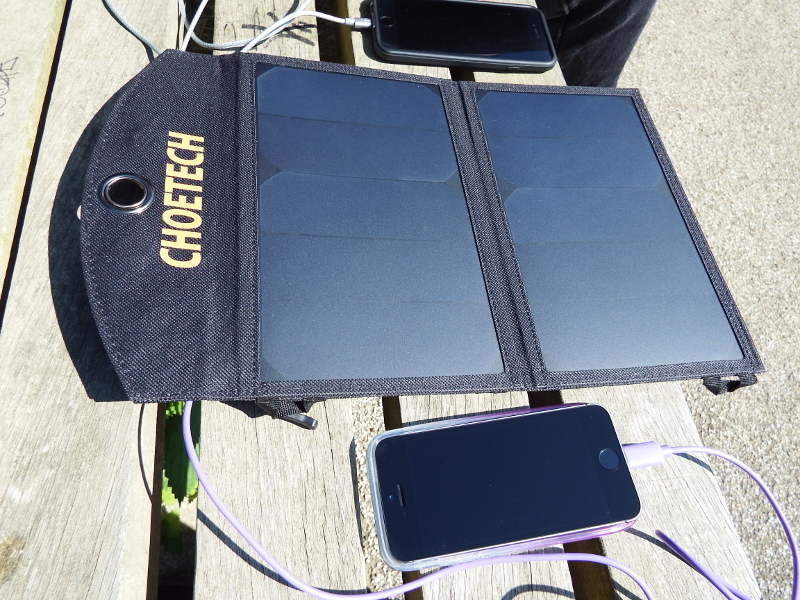 Spiritunicorn has all the gadgets, so we plugged the phones into a solar panel. The game needs to be running in order to count the distance travelled, so it is hard on batteries. Image Caption: A portable solar panel on a wooden bench. Two phones are plugged in. Across from our recharge point was another Gym, which I decided to try. It’s a war memorial with a figure on the top, because I have a thing about Gyms that look a bit like the Gym icons on the map. It wasn’t an epic battle. I did manage to damage the Gym guardian a bit though. I bet that stung for a few seconds. It’s trickier than usual Pokémon games, as it isn’t turn based. Dodging and attacking are done in real time. It’s hard to say how good I was at that, as my Pokémon were so underpowered. Image Caption: On the right, a white pillar with a statue on top, viewed across the water. A flock of pigeons are between the pillar and the water. On the left, the phone screen showing a Paras (orange lobster with mushroom ears) fighting a Hypno (yellow biped). Another unexpected thing about battles is the healing system. Potions are the only way of healing them up. I would have liked to see an alternative to this, like having Pokémon heal over time or by travelling a certain distance. By the time we got to the end of the park, our phones were getting very low on batteries. We turned them off and headed home. All in all, we walked about 15km (9 miles). It only used 20MB of my phone’s data allowance, though this may be on the low side as the maps would have loaded through my home Wi-Fi. I caught many Pokémon and got a few nice shots through the game’s camera system. 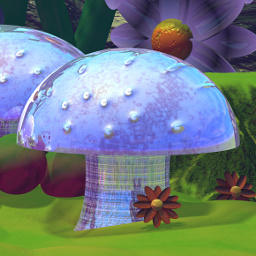 Image Caption: Three images taken with the game’s own camera system. Left is a Paras (orange lobster with mushroom ears) on a shingle beach, with the water and mist in the distance. Centre is a Pidgey (bird) on grey pavement stones, with people and scaffolding in the background. Right is a Zubat (blue bat) flying in a garden, next to a standing stone with a hole in it. All pictures have the username (PolenthBlake) placed in the lower right corner. Our last adventure was close to home, where local players have taken to gathering in a church lych gate. It has a roof and is in range of two PokéStops. The police had evidently been called, though not for one of the players. The person of interest to the police was someone who just couldn’t stop talking. “I didn’t do that. Well, maybe that one time, but not today. Okay, maybe more than once, but not in the last ten minutes.” I do wonder if crime will go down in that area (it has a particular problem with people dumping rubbish) due to the number of people with mobile phones there at all hours. Heading home meant collecting my thoughts about the game. An obvious one was accessibility. For someone who can leave the house, it isn’t required to actually walk. It uses distance rather than detecting walking gait, so wheelchairs and mobility scooters can also travel the distance. 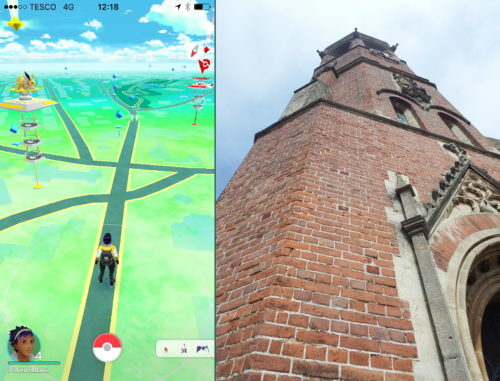 Players don’t have to visit certain PokéStops and Gyms, so can stick to those in accessible areas. This isn’t a game that would work very well for someone who can’t leave the house. It is possible to catch a few Pokémon at home, but it’d mean not getting new supplies at the PokéStops, not being able to hatch eggs, and all the rest. 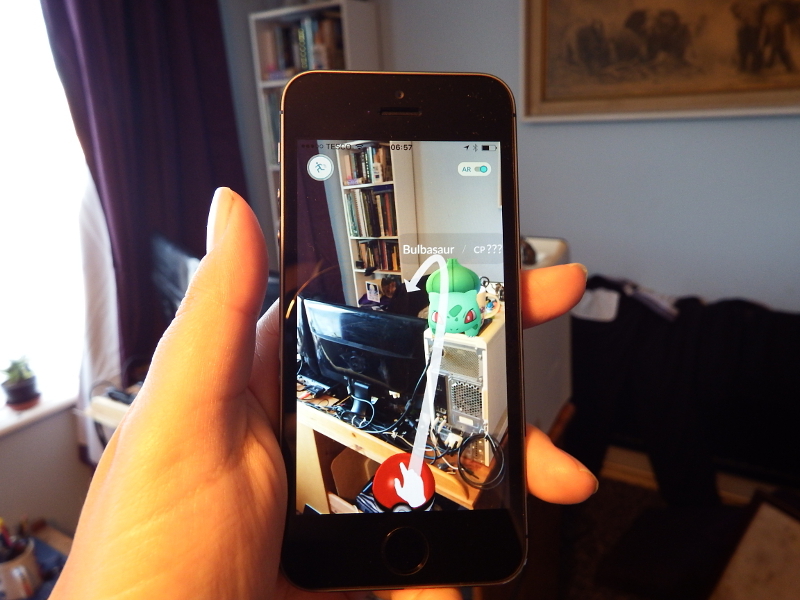 Catching Pokémon could be tricky for some people, as it requires swiping the ball in the right direction. Some sort of automatic throw on tap would have been a good idea. It’s not like it’d harm the game if some people used the feature who didn’t need it, as catching the Pokémon is more about enjoying the AR. My main criticism of accessibility in a nutshell: there aren’t alternative ways for doing things or options to customise the game controls. I also think the instructions need work, as so little is explained. This is particularly true of how to catch Pokémon, as it’s not clear that the player doesn’t have to move towards them, and can keep going until they’re safe before they tap them. For example, one popped up while I was crossing a road. I had time to cross the road and step to the side of the path (out of anyone else’s way), before tapping the Pokémon and starting the catching sequence. Someone who doesn’t know that might think they have to stop in the road or cross back to get closer to the Pokémon. Criticisms aside, it’s a very fun game. It’s not required to buy things to take part, outside of paying phone costs. 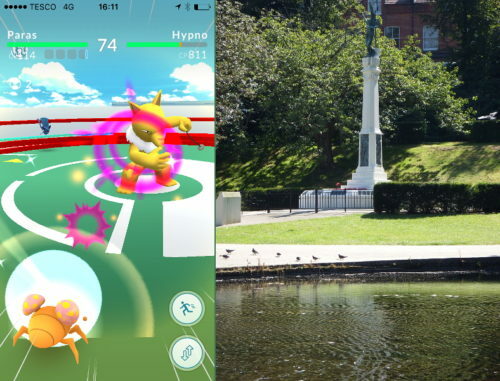 Moving between free Wi-Fi areas would be an alternative, as town centres often have PokéStops and Gyms and places with free Wi-Fi. It was fun to see so many others playing the game, including adults, families with young children, and groups of teenagers. People who weren’t playing were still discussing Pokémon, such as reminiscing about the previous games. Everyone who spoke to us was friendly. This was a welcome change, particularly given the current political climate, where the “Go back where you came from!” brigade is out in force. All I need now is some more Bulbasaurs, so I can feed candy made from their ground-up bones to my own Bulbasaur, and take over the world for Team Mystic. It’s a simple goal.